Parineeti Chopra’s pics from a latest magazine photoshoot will instantly make you miss SUMMER! Last weekend was the only high that November will see, we feel. On one side it had a murder mystery, a remake of a 1969 film and then there was the might God of Thunder creating havoc…in short, Thor: Ragnorak. The latter was expected to smash the box office as it is one of the most anticipated films of this year. It’s the third film from the Thor franchise which has a huge fan following here. No wonder the film opened with big numbers. In fact, in three days it has earned way more than what Ittefaq made at the box office. While the murder mystery brought in Rs 16.05 crore, Chris Hemsworth’s return as the God of Thunder made a whopping Rs 27.66 crore at the box office in the opening weekend. But to say that Ittefaq is losing will be wrong as the film is earning well for the kind of money that was invested in it. If we talk about Thor: Ragnarok first, the anticipation that was riding on this film is one of the biggest reason why it managed to earn splendidly well at the box office from the first day itself. It’s the third installment of the highly successful Thor franchise and thus it was supposed to make unbelievable numbers. In fact, by earning Rs 27.66, the film has managed to earn the most in the whole franchise. Marvel’s films are a huge draw in India and thus the film will only get bigger in the coming days. Plus, it has got rave reviews from the critics. Also, Thor had to its disposal a whopping screen count of 1500 which obviously worked in its favour tremendously. 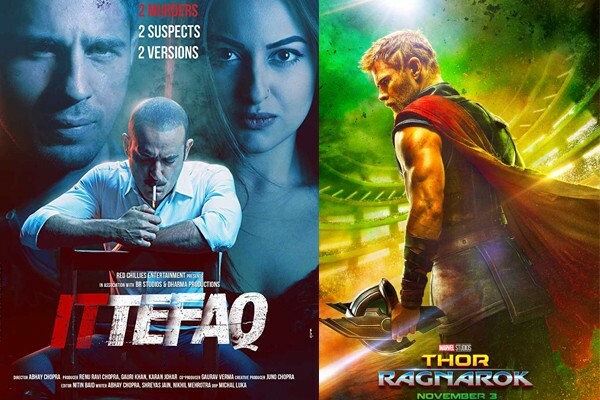 As for Ittefaq, the reason why the makers of the film are not fretting over Thor crushing it is because it is made at a controlled budget of approximately Rs 20 crore. The film has already managed Rs 16 crore and above in the first three days. The word of mouth is also decent, thus there is no reason for the makers to feel jilted by the Indian audience at all. It will be interesting to see how the films progress in the coming days with Monday being the crucial one! 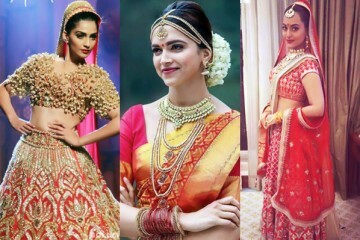 Sonam Kapoor, Deepika Padukone, Sonakshi Sinha – who should get married next after Anushka Sharma?